It might surprise you to learn that MoviePass has been offering unlimited movie tickets as a monthly subscription for over five years now. But the name only really rocketed into the public consciousness last summer, right after the price per month dropped below $10. MoviePass struggled to keep up with the wave of new interest, and its continued, rapid growth caught the attention of many. 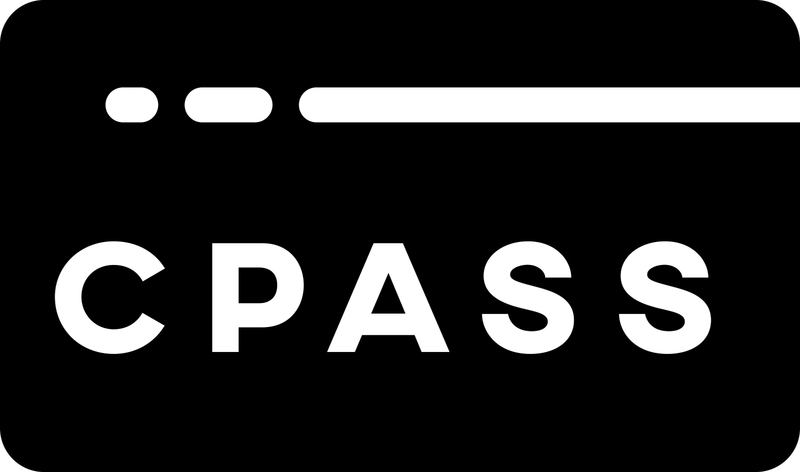 Enter cPass, a new service hoping to fill a MoviePass-shaped hole in Europe. Only it doesn’t want to limit itself to movies. Co-founder brothers Puya and Pedram Vahabi hope cPass will become an all-you-can-eat subscription for all kinds of entertainment. As it stands, cPass is a MoviePass-inspired clone with only a limited number of beta accounts currently live in London. It operates in much the same way: subscribers reserve tickets for same-day showings through an app, turn up at the theater and use their cPass to pay for the seat. A monthly fee of £9.95 (around $14) entitles you to one standard ticket per day, which is to say 3D, IMAX and other premium types of screenings are off-limits. The cPass is tantamount to a debit card, with the movie theater itself collecting the full purchase price for each ticket. The Vahabi brothers have worked on several startups over the past 12 years. Some gained traction, others didn’t. Currently, Pedra is a UX designer at Amazon and startup mentor at Google Launchpad. Puya is a research scientist at Pandora and lecturer for UC Berkley’s School of Information. Puya doesn’t deny MoviePass has influenced their latest side gig. “Just one of the factors we consider when we choose the next project to work on is if someone else is showing there’s need,” he told me. There is a key difference between the services, however, in that cPass has no formal agreements with any of the UK’s cinema chains. The company does have a partner that acts as the middleman, turning taps in the app into ticket reservations. The cPass network, then, includes any theater in London that has a basic online presence and accepts card payments. In the short-term, the plan is to avoid any structured agreements. MoviePass has had its fair share of growing pains, but so far there hasn’t been any industry pushback to cPass. The UK Cinema Association (UKCA), which represents theater operators, has expressed skepticism about the service. “cPass is in the recruitment phase, building a subscriber base without any actual offer,” the UKCA told its members in a letter seen by Deadline. The only dealings theater chains have really had with cPass thus far was to ask that their logos be removed from its website when it first went live. Listing names was fine, cPass was told, but using logos (especially without consent) implies a formal level of involvement that could be misleading. cPass isn’t particularly close to launching to the public, though, so we’ll have to see how that shakes out. At the moment, it’s simply filling a few seats that might otherwise be empty. But two of the UK’s biggest chains, Odeon and Cineworld, offer their own unlimited passes for £17.99 and £17.90 per month, respectively. If and when cPass begins poaching these users, the potential for animosity obviously heightens. That’s a pretty big if, mind. The problem cPass has is one of sustainability. It’s simple math: if a subscriber pays £10 per month and goes to, say, ten screenings that cPass pays full ticket price for, that’s a significant shortfall. But Puya is confident cPass could be profitable within a few years, as long as investors keep pumping money into it to keep it afloat. As it stands, I’m told cPass is on track to officially launch to the public around September/October time, though that could be accelerated. If money’s tight, one option could be to introduce a slightly cheaper subscription tier offering one ticket per week, but the founders insist unlimited movies for £10 per month is definitely viable. As much as that’ll get people through theater doors, UKCA CEO Phil Clapp believes it may also be a cause for concern for operators. Where streaming services and digital downloads have brought the price of watching films at home down, ticket prices for the silver screen have increased. The worry is that cPass-like services will devalue the cinema experience. If moviegoers become accustomed to a cheap subscription service that subsequently folds, normal ticket prices may seem unreasonable by comparison, impacting attendance. On the other hand, if a subscription service was to thrive, this new middleman finds itself in a position of power. With 5 million members, cPass could decide it no longer wants to pay face value for tickets. Theaters might be forced to agree to discounted rates or risk being blacklisted from the service. These scenarios are completely hypothetical, of course, but could result in less money flowing the way of distributors, production houses, and all other stakeholders that rely heavily on box office takings to keep making movies. Puya admits cPass is a high-risk concept, which is why everyone isn’t doing it, but there are ways to make it profitable. You’ve probably already guessed where the value lies — just like MoviePass, it’s in user data. “There’s gonna be a promotional platform that we will build in parallel,” Puya said. The idea is serve ads and promotions within the app, with users also having the option to pay more per month to opt out of data collection. Puya was keen to stress that all data will be kept in-house and only used for targeted ads, rather than being sold to third-parties. “We will 100 percent respect European privacy laws, and any modifications in the UK in the future.” Stricter data protection regulations are coming into force across the EU very soon, of course, but Puya is also mindful of the huge Facebook-Cambridge Analytica scandal that’s dominating the data debate right now. It doesn’t help that MoviePass has recently been scrutinized for the way it handles user data after some questionable comments from its CEO and a shady location tracking feature discovered within the app. Still, creating an internal ad platform is how cPass intends to make most of its money, but with such slim margins, a large user base is essential. Expanding geographically is one way to achieve this. The plan is to start out in London, then spread across the UK before slowly rolling out to other European cities. But making the service and the app a must-have is just as important. In fact, the ad platform is only slated to be introduced after cPass has become a much richer service. An obvious next step is music, from events at your local jazz cafe to bigger concerts. The idea is the user pays an additional subscription fee for topics they’re interested in for all-you-can-eat entry to those events, not just movie screenings. After all, who wants to go to the movie theater every day? cPass is currently doing market research, running simulations and the like to see what realm it’s best placed to move into next. Whether it makes it that far is anyone’s guess, though. We already know a cheap monthly subscription that promises unlimited entry to the latest blockbusters is attractive to people, and that data is big business. But with profitability being a dim light at the end of a very long tunnel, we could just have another Sliceline on our hands.